PtcShare will have far better SEO for keywords such as ptc, paid to click and several other keywords that are vital to sustained inflow of users. Recently we’ve been improving SEO for Paidverts, aiming to improve the amount of backlinks (and their quality), but also trying to get seen on google when searching for a PTC. We’re getting better results but ptcshare will have the advantage of having ptc in its name. I am currently approaching various offerwalls to SELL them a spot on PtcShare instead of just giving it away for free. This is basically an attempt to make money out of nothing. They know what it’s worth to them, so I feel like I can definitely get them to pay some money up front to secure a spot. 1 of them already responded with interest. Exact figures they’re willing to discuss once we have the test version of PtcShare running. I figure I can get $2k+ per spot, easily. While building PtcShare, Paidverts will still get improvements in various fields. We are currently improving offerwalls, SEO, simplicity and sustainability. As mentioned before: We set a goal of 100k active users by the end of the year. Hard to reach for sure, but worth the effort. 1. A massive Vietnamese YouTuber, accounting for about 200 signups per day for a few days in a row. Please respond to any of the above with your ideas/constructive opinions. We are willing to add whatever is popular, simple to understand and profitable to PtcShare. I am a fan of adding bitcoin dice. It is very popular under crypto-users. The big advantage for the site is that a lot of users place several bets in a row on automatic. Lots of smaller bets brings down variance hugely. And the player can alter his own game by choosing the payout-ratio. I am sure this would be more popular then coinflip. And I would vote against a site-lottery. Have you settled on a theme for colors yet? Maybe you could run a contest for someone to design a theme. Wait so.. is ptcshare going to replace PV? Video ads .Like you can view videos in ad section. I think Traffic Exchange and PTSU would increase the number of active non-investor members, and therefore probably increase the traffic of the site significantly. So it would be great, especially if you will make it better than other PTC sites. Please consider making the TE "compatible" with PTP! Currently there is no TE where we can promote PTP links effectively, and Rotate4all link is banned at many TE sites. This is nonsense, because it's a rotator too, and display the same ads what you can see at the PTC/TE sites. Two things would be necessary: not to allow surfing in a small window (there should be a minimum size of 700x320 pixels or more, or stop the timer with an error message), and prohibit using VPN/Proxy. These would also increase the effectiveness of overall advertising. Splash pages would also be necessary IMO for promoting the new site effectively. @Dguy: Interesting article. I knew about a few of those colors and their values, but not all of them. The new site will likely be a mix of darker blue and gray. Orange to point things out such as sales and notifications. @Jordy: Will look into it. Keep the suggestions coming. Andraz is currently on a holiday for another week. After that we'll go through the topic collectively and discuss what we want to add. would it be ready by june and then how much for the additions? imo 3 months? and can we expect the FTQ to be paid and process of real stocks and new company site to be started? because i think this product can be very massive and can also generate 1 million in revenue in 4 months. And now imo we will never know what is happening and no revenues shown in results and marc and co taking all money and not giving even less they should for growth and well being of company, no? Ajay, you seem to be taking wild, emotional guesses here and there and you're usually wrong. Investing based on emotional impulses is a bad thing. Same applies to your crypto currency investments. You couldn't be further from the truth with your above allegations. Just a question,cause my english is not so good. So Paidverts is stay alive after the new site is started,and MTV's bap market too? 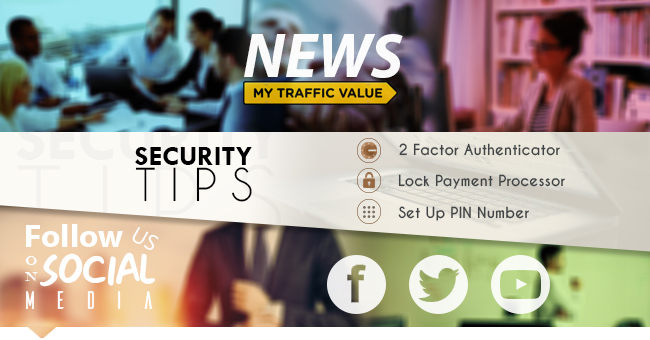 As SijoCJ already answerd you, yes Paidverts and Mytrafficvalue remains the same. in short we are going to create a better version of clixsense that will give tough compitation to neobux...right? The paidverts graph which I posted yesterday looks a lot more impressive on mobile btw. During the past 9 days we went from 26.8k active users to 31.6k active users. Instead of 400-600 signups per day we've been doing 1000-1800 signups a day. 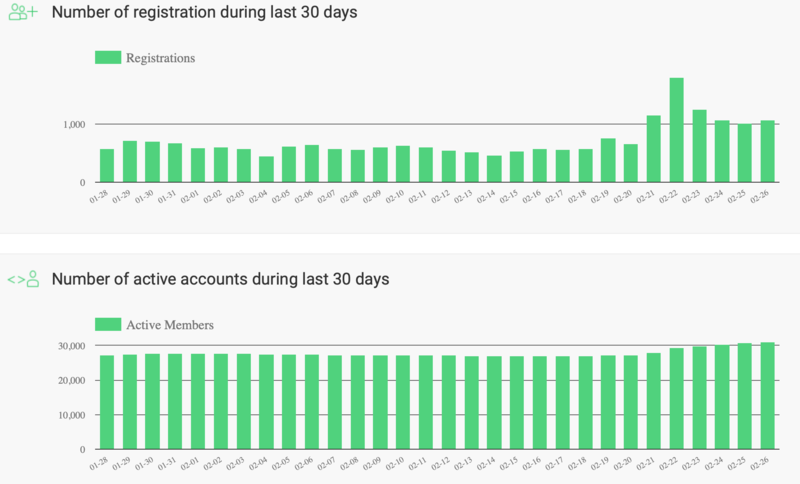 We're growing about 500 active users a day now, which is huge. Even if they don't end up spending a penny, I am planning to promote our offerwalls as much as possible and get additional revenue that way. Also, for an advertiser this should look very promising so I am going to contact a long list of ptc's, revshares and other online earnings websites to try and get them to either buy advertising on our site or make a deal with one another to get free advertising on each others' sites..
On the face of it, new users is a good thing, but it's only good if the BAP debt is going down. Otherwise it's just more people to share the same amount of money...meaning everyone gets less. The sooner Coinflip gets a 1% move towards the 'house' the better.